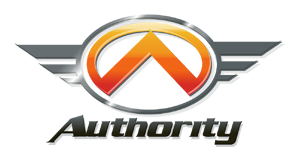 Authority is a specialty manufacturer that produces world famous carbon fiber exhaust heat shields, Exhaust systems, downpipes, short shifter, brakes and much more! Turbo Wholesale Distribution is U.S.A Master Warehouse Distributor of Authority Products. The EVO runs rich from the factory, and many of the aftermarket exhaust systems do not stick out far enough to prevent soot and heat damage from occurring. This carbon fiber heat shield will help preserve your rear bumper and looks fantastic! Installation is very simple and completed within a couple minutes. Authority uses an aerospace quality 3K dry carbon fiber material for outstanding looks and a long lifetime. Tech Tip: The Authority shield is very easy to install on your EVO and takes less then 30 minutes. Included with the carbon fiber shield is self tapping screws for the underside of the bumper.